The online lender to small businesses said that its total loan originations for the first half of the 2019 financial year were $225 million, up 10 per cent on the forecast of $204 million and up 44 per cent on a prior corresponding period (pcp) basis. Total loan originations for the 2018 calendar year were $436 million, up 13 per cent on the forecast and have led to Prospa surpassing $1 billion in Australian loans to over 19,000 small businesses. The firm’s revenue is already ahead by eight per cent on its forecast with chief financial officer Ed Bigazzi calling the start of the year a big win for the firm. Over the past three months, Prospa has optimised its funding structure and has lowered its funding costs in a move to pass savings on to its customers. Co-founder and joint chief executive of Prospa Greg Moshal said he was incredibly proud of the work the company was doing. “The increasing demand for our product shows we deliver a much-needed service that is highly valued by our customers. Small businesses are the engine room of our economy. Mr Moshal said the company had also raised millions in funding from investors which allowed them to continue to execute their strategy. 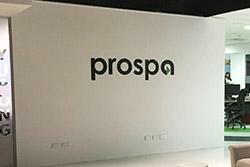 “In October, Prospa raised $43 million in funding, enabling further investment in developing our cash flow products and services, and funding increasing momentum in our loan book,” he said. Prospa’s lending had helped add almost $1.7 billion to the Australian GDP and Mr Moshal said they had helped to grow and create jobs. “The independent analysis by RFi Group and The CIE clearly demonstrates the extent to which providing access to capital allows small businesses to grow and create jobs. Moving forward the group recently appointed Gail Pemberton to the role of chairman along with Emma Robinson as chief marketing officer and Elise Ward as general manager for people and culture. Co-founder and joint chief executive Beau Bertoli said the company was proud of their achievements and looked forward to building momentum. “We also intend to launch our line of credit in Australia in the second-half as a convenient and flexible source of funds that puts small business owners in charge of their finances.